Pulse, the Millennium Campaign and partners launched an effort at leveraging the power of social media to understand what people around the world care about. By filtering through over 500 million daily tweets, for 25,000 keywords relevant to 16 development topics, the interactive visualizations below show which countries tweeted most about global topics from May 2012 to July 2015. Choose a country or a group of countries to see differences in how likely men and women are to tweet about a particular topic relevant to sustainable development. If you hover over a bar in the bar chart on the right, you can see what words are most commonly used by each gender for each topic. Disclaimer: Gender distributions should not be seen as being indicative of general gender biases on Twitter. The data shown in this dashboard are only inferences, and only apply to this particular study. Compare how likely men and women are to tweet about each of the 16 topics. Click here for a summary analysis, and here for the GitHub repository. The globe spins to show the 20 countries that have proportionately talked the most about the highlighted Post-2015 topic on Twitter from August 2012 through July 2015. The ranking shows the countries with the highest proportion of tweets about the highlighted topic. The percentages refer to the proportion of tweets about the highlighted topic, in relation to tweets about all the other Post-2015 topics, that were generated by that country. Choose a country or a group of countries in the dropdown to see how people from that geography changes focus on different development topics month by month. You can hover over the coloured dots to see what words were most common in tweets about that topic in that month. Choose a development topic on the right and see which countries talk relatively more about that particular topic. The more they talk about it, the darker the colour will be. In the year 2000, world leaders at the United Nations agreed to a global development framework known as the Millennium Development Goals (MDGs). Eight in total, with accompanying indicators and targets, the MDGs provided a roadmap to halve poverty worldwide by 2015, focusing attention and investment on 8 particular targets. Leading up to the 2015 deadline, the UN, in partnership with civil society and the private sector underwent a process to reflect on the MDGs, and develop a new global framework for the future. As part of that so-called Post-2015 process, the UN reached out to the global public for input through consultation meetings, surveys and more. As a supplemental exercise, Global Pulse and the Millennium Campaign worked to demonstrate the potential of Big Data and visual analytics as a truly 21st century way of unearthing which global development topics everyday people are concerned about and prioritize, even if they are not involved in the official Post-2015 process. The interactive visualizations above show differences between countries and income groups, and between the two sexes in each of those groups. * Based on the 44% of tweets where gender was possible to determine from the user's name. We looked at the words ordinary people would use on Twitter when talking about opinions, wishes and hopes in everyday language. People's ideas and thoughts are already out there, regardless of their involvement in or knowledge of development policies, the UN, MDG's, Post-2015 etc. We developed an extensive taxonomy of words relevant to the 16 topics above. In total, we monitor 25,000 keywords and combinations of keywords. We looked at tweets from the whole world, but had to restrict the analysis to English, French, Spanish and Portuguese. Data by country is here. This is an analysis was based on Twitter, so your tweets are included if you wrote in English, French, Spanish or Portuguese, using one of the keywords during the time of the study. We mined tweets using DataSift, assigned countries using GeoNames data, analyzed on Hadoop Cloudera on Amazon EC2, and visualized using D3 and dimple. 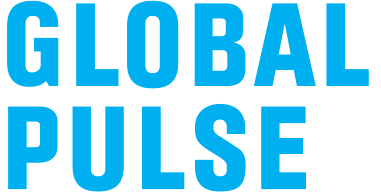 Global Pulse is an initiative of the UN Secretary-General, exploring how new, digital data sources and technologies can help policymakers gain a better understanding of changes in human well-being. Recognizing both the urgent need for real-time information and the extraordinary opportunity “Big Data” represents for global development, Global Pulse functions as UN’s innovation hub, transforming how we use real-time digital data to understand the needs of vulnerable populations and measure the impact of our programs. Through its headquarters lab in New York and country level Pulse Labs in Jakarta and Kampala – Global Pulse brings together experts from private sector, government, UN and academia to collaborate on joint research, applying Big Data and real-time analytics to global development and resilience challenges. Read our introductory guide to "Big Data for Development"